Am looking forward to taking a break to visit family and friends on the coast soon. Getting out of the city and into the countryside is the ultimate refresher. Sharing a photo of from a riverside adventure. Enjoy the time with family dear Mandy… what a beautiful and soothing photo you’ve shared. Really lovely photo, love the reflection on the water. Looking forward to having you visit so we can show you another part of the river! A beautiful capture Mandy! Great reflections. Blue is such a tranquil colour. Hi Mandy, I love your photo. A lot going on there. 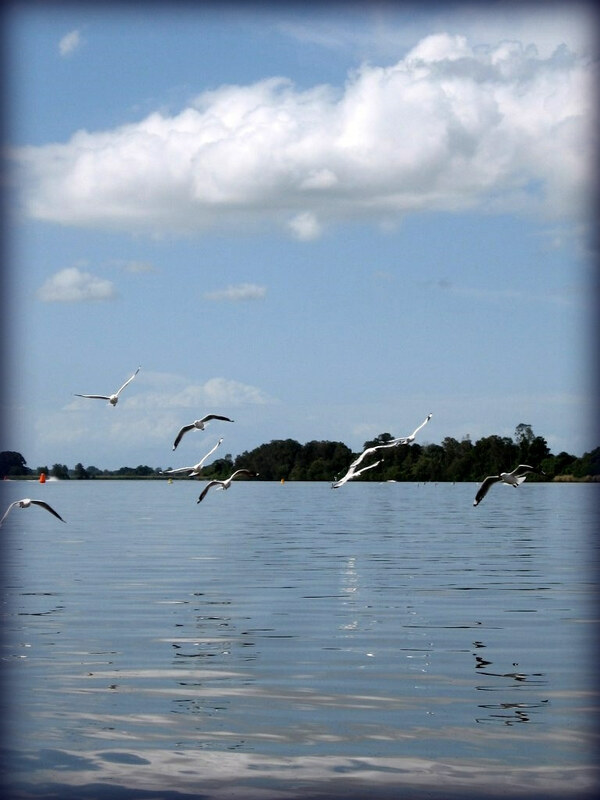 Lovely sky capture, the gulls are cool. Have a great visit. Happy Skywatching! Beautiful shot, and enjoy your country visit!! An enchanting image. The seagulls take flight and float away to their dreams. How wonderful to be able to follow one’s wishes with such ease. P.S. Thanks for stopping by Poppy VIew!